Women are in need of mentors in order to gain the proper skills, learn how to build a wide network, access to role models, acceptance and affirmation, and ultimate career success. For younger women, mentors can play a pivotal role in which career path we choose and our potential success in those chosen fields. Studies have shown that women with mentors are more likely to be successful than those without. A mentor provides professional guidance and shares knowledge and advice with their mentee. Mentoring relationships have many long-lasting benefits and can offer opportunities that women previously may not have had. 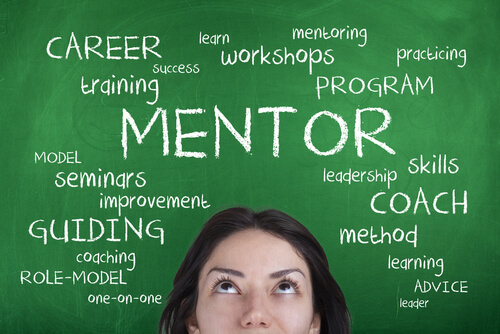 Mentorship, whether it occurs in or out of the workplace, has numerous personal benefits. A mentee benefits because she will have someone with greater knowledge and experience to turn to. She can be guided through solving a problem or critiquing her work. Mentorship can help an employee feel less isolated at work as well as encourage her to interact more with others, particularly new hires. Mentors can provide tips on career growth and introduce the employee to other professionals. As the mentee matures within her career growth, a mentor may remain a valued adviser to the mentee. Mentorship can help in defining career goals. In order to know where you’d like to go and to be successful; you need to know how to get there. Mentors have vast experience to help you to put a clear plan in action to get there. This vast experience also helps within navigating company policies and work politics. Mentors are valued individuals to turn to who will keep information private and confidential. Employers directly benefit from their employees, including women, receiving mentorship. By offering a mentorship program as a component of your organization’s recruitment and onboarding process then you are sending the signal that the well-being and success of your employees is important and valued. By being invested in your employees’ personal and professional successes, you are conveying that you are willing to go the extra mile for them. An added benefit for employers is that a mentorship program allows new hires to integrate and engage within the organization more quickly, which makes the onboarding process more efficient and effective. Mentoring enables your employees to reach their full personal and professional development as well as promotes their personal and professional development in a strategic and supportive manner, which leads to an increased return on investment per individual. Mentoring motivates and engages top-talent employees. This is important because it is your top talent that provides you with the means to build sustainable methods for talent. Some organizations may wish to have a targeted mentoring program that enables you to actively motivate and engage your most promising employees, which is an indispensable part of successful workforce planning and succession planning strategy. Mentorship develops employee skills and qualities that remain valuable beyond the duration of the mentoring partnership. Employees in mentoring partnerships develop more competencies that they would like to acquire than those who are not. Mentorship develops leadership skills, teamwork, self-awareness, and the ability to compromise- all of which add value to your employees and your organization. Formal mentorship programs can help with employee retention because top talent employees stay and thrive at organizations in which they see themselves achieving their career goals and receiving the guidance that they need in order to grow as professionals and individuals. Mentoring is one of the best methods to confirm that your employees feel supported by your organization. Employees also develop skills according to their individual career requirements and it helps them maintain productivity. In addition, mentoring partnerships help employees translate theory into practice as they apply their new knowledge immediately to assignments and projects. These partnerships facilitate direct opportunities for knowledge sharing, which enhances and taps into knowledge capital within an organization. It guarantees that your valuable organizational knowledge is not lost. An effective mentorship program brands your organization as the one who cares about its employees and helps your business continuously attract the best talent for the roles necessary. How Does Mentorship Benefit Women? Women oftentimes directly benefit the most from mentorship programs because it contributes most significantly to our employment retention. Oftentimes women indicate that the presence or absence of a supportive mentorship program is what ultimately drives their decision either to remain within their organization or to leave. Mentorship can teach us to articulate our ambitions. An important factor to our success is that we do not permit our employers to believe that our performance speaks for itself. By doing so, then you are increasing the possibly to miss out on a promotion because you have not stated your ambition and desire for one. Without stating it, you may not be considered for one. Mentorship also breeds accountability through action because mentees learn to take responsibility for their action items and enjoy seeing them fulfilled. Mentorship can also help women build networks. Our male counterparts can be especially skilled at this because they tend to have access to vaster networks. In addition, men negotiate differently than women. Your mentor can teach you strategies to hone these skills that help you improve your methods for a successful outcome. Some women feel more comfortable when they know what they are negotiating for, what the parameters are, or who they are negotiating with. It could be beneficial to know and map your professional networks in order to maintain an understanding of who can be supportive when and why. When it comes to negotiating, practice makes perfect so you may want to consider observing others or practicing at home. It is also important for women to own their careers. By utilizing mentorship, sponsorship, and coaching we can learn to turn our weaknesses into strengths. Owning our careers is critical to our success. In order for mentorship to be effective, it is important for women to realize their ambitions, weaknesses, and strengths. Learn how to promote yourself well and understand the gaps within your skills and learn how to correct them. It is also important to expose yourself to different experiences in order not to get too comfortable and to continue to grow. There are numerous advantages to mentoring partnerships that are irreplaceable. It is important for women to mentor women and men to mentor women in order to continue sharing these benefits and for each of us to build on our knowledge and skills for bright, successful futures.